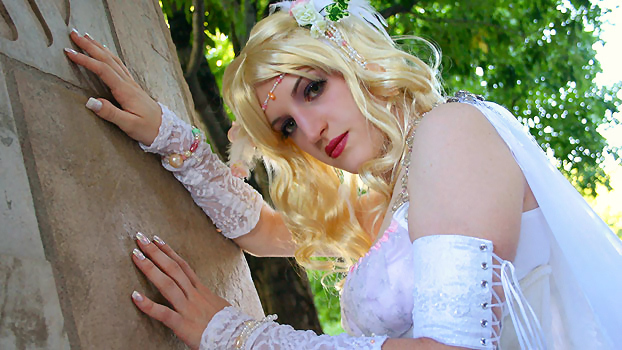 Here, you will find some wonderful Rosa cosplayers. What is cosplay? It's dressing up like your favorite character, usually at various sci-fi, anime, and general costuming conventions and events. All cosplayers and pictures are added with permission. If you have an amazing Rosa cosplay you would like to contribute please contact me! Barb makes incredible costumes! 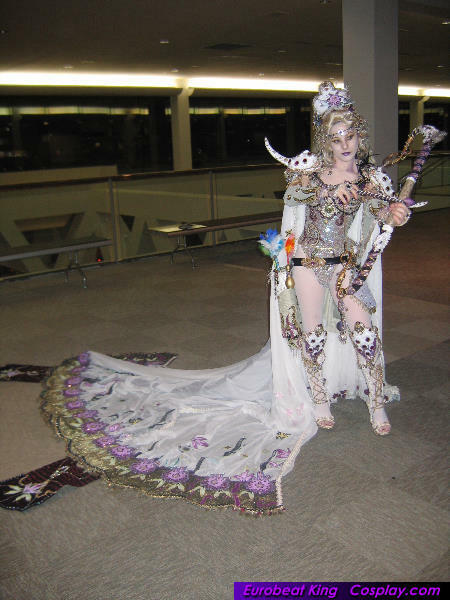 She made this jaw-dropping Rosa costume in 2005. Her friend, Julia also made a Rydia costume in the same fasion! They spent over four hundred hours each just beading their costumes alone! This version is based directly from the Amano concept artwork for Rosa, with quite a few embellishments added. This is simply one of the most amazing costumes I've ever seen. 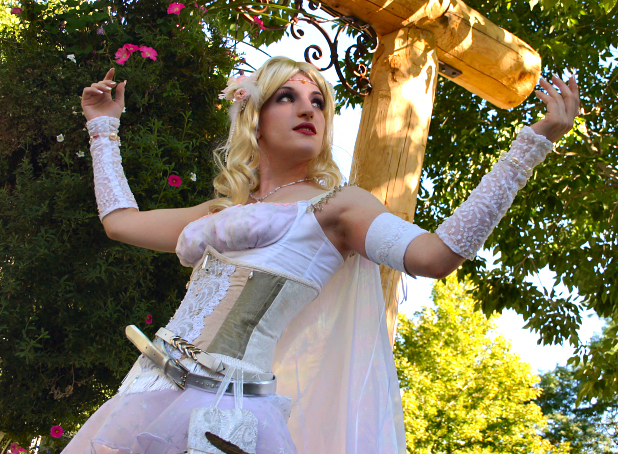 Beverly made a very beautiful Rosa costume! Instead of basing her costume directly from Amano's concept art or ingame sprites, she transformed Amano's work into something completely different. 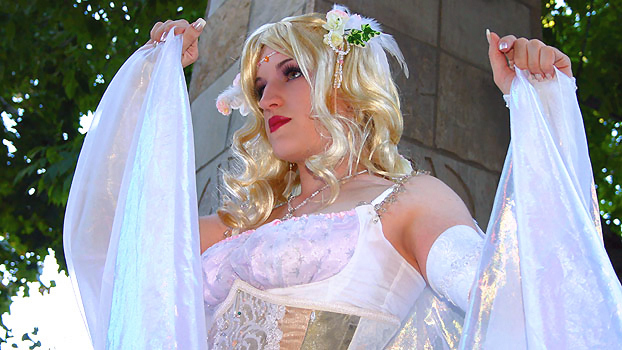 Rosa is a white mage, and also a girl in love, so she used these aspects of her character to create a very ethereal and romantic appearance.